InterContinental Bali Resort’s unique brand concept ‘In the Know’ invites guests to visit the cultural landscape of Bali and delve into the extraordinary agrarian organisation behind it. The island’s irrigated padi fields are achieved through an ancient and complex system of aquatic engineering, uniquely managed by the farmers through village cooperatives known as ‘Subak’. 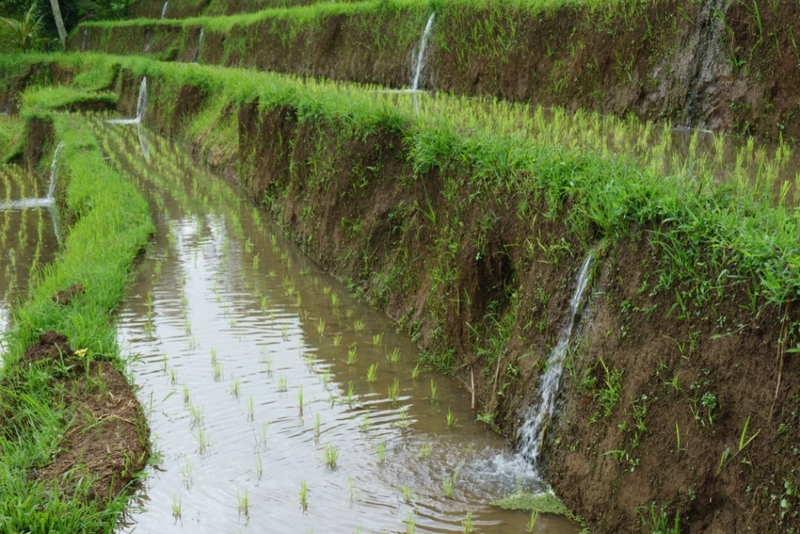 Irrigation is critical to Balinese wet-rice agriculture because of the long dry season that extends from April to October, while the substance of rural life is dependent on the accuracy of the water flow as it is diverted from the 150 rivers and streams that gush from Bali’s crater lakes. The water is then channelled through an elaborate system of dams, canals, tunnels, aqueducts and bamboo pipes to the top of a series of terraced rice fields. From here it can flow, with gravity, from field to field. The subak is a great example an egalitarian farming system and one of the most vital components of Balinese society; integrally linked to the island’s history, landscape and culture. Based on the Balinese philosophical principle of ‘Tri Hita Karana’ – which holds that happiness and prosperity can only be attained if all human beings live in balance and harmony with God, with other human beings, and with the environment – the subak is economically productive and ecologically self-sustainable. It is based on a democratic and equal distribution of resources, completely independent from political and administrative institutions and does not rely on fossil fuel or heavy machinery. Since farmers depend on the successful irrigation of the fields, the different subaks form a close bond that unites into a single system that has been handed down the generations for over a thousand years. In fact, ancient inscriptions indicate the digging of an irrigation tunnel back in the ninth century. The subak controls the construction and maintenance of the channelling system and the management of the water flow in order to ensure the fair distribution of this precious resource. A subak meets once a month and consists of all the farmers – or their representatives – in a particular rice production area. Each covers a few dozen hectares of farmland and sustains several hundred people. The upstream subaks ensure that water flows to their downstream counterparts, which brings about a synchronised planting and harvest pattern that provides benefits for all, including pest control. 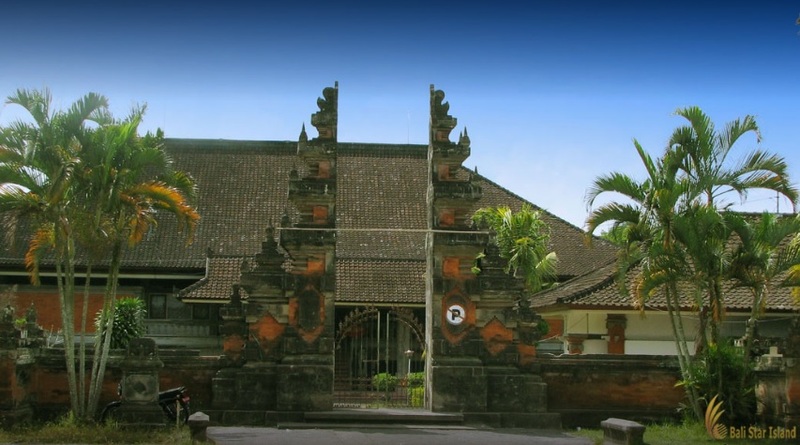 The subaks are linked to mountain temples or ‘pura masceti’, which come under the control of one of the island’s two lake temples: Pura Batu Kau coordinates irrigation in West Bali, and Pura Ulun Danau coordinates the north, east and south of Bali. The engineering knowledge of the subak is sophisticated, and the tunnels they construct and maintain through the hills can be up to three kilometres long and 40 metres deep. The water flows over volcanic rocks rich in minerals, such as phosphate and potassium. The wet rice fields are effectively artificial ponds, and the nutrients in the water help the rice to grow. The subak also coordinates the organisation of ritual offerings and festivals. Water temples hold festivals every 105 days, corresponding with the 105-day rice-growing cycle. The villagers gather to perform the harvest ritual, praying to Dewi Sri, the goddess of rice and fertility, for safety, a bountiful harvest, and the survival of their way of life. This cycle also determines the time of the opening and closing of the canal sluices, ensuring that plantings are staggered and that the water is allocated in the most efficient and equitable manner. Bali’s subak system has been honoured with the UNESCO status of a World Heritage Cultural Landscape, featuring specific sites that maintain and respect the natural, religious, and cultural components of the subak system, and continue to grow organic traditional Balinese rice without the use of fertilisers or pesticides. Sites include the Supreme Water Temple of Pura Ulun Danu Batur and Lake Batur – a crater lake regarded as the ultimate origin of every spring and river; the Subak Landscape of the Pakerisan Watershed – the oldest known irrigation system in Bali; the Subak Landscape of Catur Angga Batukaru – with terraces mentioned in a 10th century inscription making them amongst the oldest in Bali and prime examples of classical Balinese temple architecture; the rice terraces of Jatiluwih – perched on the side of Mt Batukaru and offering one of the most breathtaking panoramic views imaginable; and the Royal Water temple of Pura Taman Ayun – the largest and most architecturally distinguished regional water temple, exemplifying the fullest expansion of the subak system under the largest Balinese kingdom of the 19th century. The subak of course relates exclusively to irrigated rice fields, which are known as ‘Sawah’. The fields that are rain-fed are known as ‘Tegalan’. The Subak Museum in the village of Sanggulan, Tabanan, showcases this centuries-old Balinese agrarian way of life with a miniaturised version of the subak system, as well as displaying traditional agricultural tools used by Balinese farmers to tend the fields. Here, you can view a collection of wooden and metal harvesting tools, cattle-drawn ploughs, fish and eel traps, as well as nets for capturing dragonflies and locusts – both of which are tasty local delicacies, plus various mock-ups and miniatures of old farming village layouts, traditional Balinese kitchens, and more. 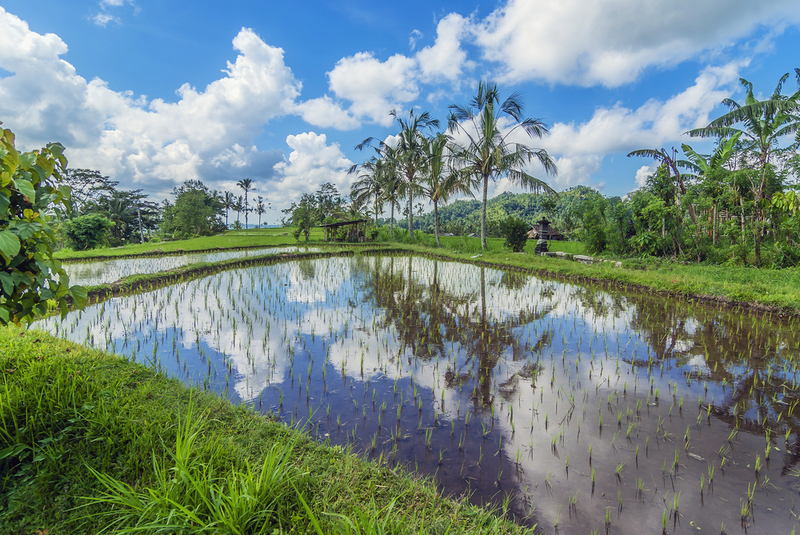 If you would like to visit the Subak Museum together with some of Bali’s World Heritage Cultural Landscapes, a customised tour can be created especially for you by InterContinental Bali Resort’s savvy ‘In the Know’ team. Please contact the concierge for more information.